Update: 100,000 offer is expired. For current offers see here. Christmas has come early for the Weekly Flyer Household. American Express is back with a targeted 100,000 bonus point offer just in time for the Holidays. Last time we received this offer it was for a personal card for Mrs Weekly Flyer. This time, the 100,000 American Express Platinum card offer is for the Business Platinum Card. Even if you don’t own a big company, you can apply for Business Cards if you are a sole proprietor by adding your own tax id to the application. But since we own a business, we’ll use our Business tax ID to apply for this amazing 100,000 American Express Membership Rewards offer. Do any of you intend to apply for this offer if you receive it? Interested to hear of any variations to the offer if you’ve received one. 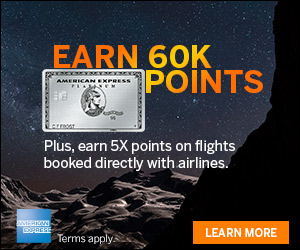 The targeted offer for the American Express Business Platinum Card offers 100,000 Membership Rewards points after just $10,000 in spending by April 19, 2013. The application must be received and approved by January 19, 2013. Then the spending threshold kicks in with a completion date of April 19, 2013 in order to receive the full bonus. The last time we received this offer was in late April and we jumped on the offer. One thing I noticed which I wasn’t aware of before is that the Business Platinum Card eliminates foreign transaction fees when traveling abroad. The huge signup bonus will earn this card a spot in the Business Card section of my wallet. The no foreign transaction fee may help keep it there along with some of the other benefits like a $200 airline fee credit, access to airport clubs, among other benefits. It’s possible this American Express offer was put out in time for the Holidays for Businesses to ramp up spending with. Alternatively it may have been put out to compete against some very good Business Card offers from Chase. Chase recently came out with some great Ink Business card offers which require only $5,000 in spending to receive the lower bonus of 50,000 points. In addition, Chase recently came out with a 100,000 British Airways Avios point personal offer which is detailed below. So if you don’t receive the 100,000 American Express Business Card offer and are considering credit cards that offer generous flexible point bonus offers, the Chase cards offer a high bonus with a nominal amount of spending. Keep an eye out for the 100,000 Membership Reward bonus offer for the Business Platinum Card from American Express. If you are not targeted for the American Express offers, consider the Chase offer which has a 1/2 lower spending requirement along with 1/2 the size of bonus points. Even if you don’t own a big company, you can apply for Business Cards if you are a sole proprietor by adding your own tax id to the application. The current American Express 100,000 Platinum Business Card offer appears to be valid through January 19, 2013. Did anyone else receive the 100,000 offer for the Business Platinum Card from American Express? This is appealing . . . Have only done one churn . . . Ready for second . . .excellent credit, retired, no debt . . . Should I apply for this after just 3 months ago getting a business card from AX . . gold Delta sky miles? Am a real rookie and just learning the ropes. So you already have one and are going to apply for another one? I did the 100K offer once and kept receiving offers, but wasn’t sure if I was eligible for the bonus again. How confident are you that you’ll receive the 100K bonus a second time? Hi BDF – I can’t give advice on that for you since you’ll have to make your own credit decisions. If you have a specific question about the impact I may be able to answer. Hi Travel Summary – 100% confident. The first card offer was for Mrs Weekly Flyer and was personal. This offer is for one of my businesses. So it is an entirely different card and entity applying for the card. Make sense? @BDF – I don’t believe the Delta AMEX is really an AMEX product – I think it is from Citi with an AMEX logo, at least that’s the way my AA AMEX is . . . so, having a Delta AMEX and the AMEX Bus. Plat shouldn’t be a conflict . . .
@Erndog – I don’t know what you are talking about. The Delta Amex cards are from American Express. The AA visa/mastercard/amex are from Citi. The UA cards are from Chase. Just because your AA Amex card is from Citi doesn’t mean all other amex branded airline cards are from Citi. There is also VS amex card and it’s from Bank of America, not Citi. @Erndog – the Delta AMEX is absolutely from American Express. It has nothing to do with Citi, which only partners with AA as far as airlines go. There’s no conflict with receiving points because this offer is for a business card, which is separate from a personal card, so you can still earn the bonus points on the offer if you haven’t had a business AMEX in two years. as a rookie, I am sure my question is not clear and maybe dumb, BUT, can you apply for A Delta sky miles AX Business card, next churn apply for a SPG AX card and this 100,000mile AX business card. the confusing part for me is . . . Can you only get rewards on one AX business card even though one is Delta, one is SPG and one is this Platinum? I have Amex Gold Business and when I log in online, I get 25,000 bonus offer to upgrade to Platinum. Any suggestions of how to request the 100,000 bonus offer. Hi BDF – Yes. The awards you receive will be in the program associated with the card. Example 1: you get the DL Amex – your points will be in Delta. 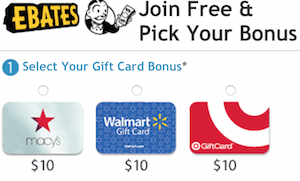 Example 2: You get the Chase Ink Plus – your points will be with Chase Ultimate Rewards. 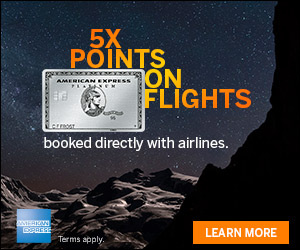 Example 3: You get the SPG Amex – your points will be with Starwood Preferred Guest. Does that make sense. Feel free to email me at theweeklyflyer at gmail. Hi Matt – The offer comes with a unique code for each application. Hi HIS – Can’t hurt to call Amex and ask. My cousin an actuary had a target offer of 100k Amex for 3k (or was it 5k) spend in 3 months. It was insane but the funny thing is she has just maybe 1 cc and lives a very simple life. She is also not even a heavy spender so I am exactly wondering how she was targeted. She has only been a US citizen for 7yrs she came here as a Jr. in high school. @HIS , had the same offer for upgrade like you did, i have also the personal platinum, i took the offer for the 25000 , ill send a secure message and also call Amex . Let us know how it goes if you tried and ill do the same. I got the 100,000 offer for personal card with $3k in three months. Didn’t take it though. Called them and they could not even see the 25,000 online offer with first purchase that I had. Only could offer me 25 K with 10K putchase. They did not offer me a higher bonus. Hi Choi – Sure, why not? Hi Traveler – From what I understand it depends on the credit and credit reporting agency. So YMMV, but others please chime in if you are more familiar. Hi Shannon – I’m not sure. Mrs Weekly Flyer was targeted with her first American Express card with the 100k Platinum offer. Then our business was targeted with it’s first American Express with the 100k offer. So I’d say it is for new client acquisition. But I’m sure there are others that have had an Amex that were targeted. Hi HIS – Sorry to hear that. Thanks for posting this. YMMV is always the case with these things. I’ll try for an upgrade too. Nothing to lose. Good luck everyone! If I got the 100K promo from AMEX I’d just on it. I have many cards from them including the gold, but have never seen the offer. My sister, for some reason gets mail addressed to her w/ my mom’s address, got targeted for this offer despite having just one Chase card. @BFD and others, the terms of the 100,000 promotion state that the bonus points will not be awarded if the cardmember has received another bonus from Amex Business Gold, or Amex Green within last 12 mos. Related question… do you know anything about redeeming Hawaiian airlines miles for Virgin Australia flights from LAX-Melbourne? Hoping to pay for one way but their partner award chart only shows round trip redemptions. sorry commented on the wrong blog window! the 100k amex offer is actually semi targeted. there is a unique reservation # on the offer which can only be used once. you can apply for it using any business you own, not necessarily the one that it is addressed to. I received 2 earlier in the year and used one, gave the other to my son he used it. both were different businesses than the addressee. both were approved online in about 15 seconds. After i registered my wife as an authorized user for my Amex PRG she started getting all kinds of offers from Amex to get her own card. The first offer was for the Amex Sky Blue which i threw out immediately. Yesterday night she received the Amex PRG 50K signing bonus with a $1k spend. I went to apply for her online and they offered her either the Amex PRG or the Amex Platinum with 100K and a $3k, 3 month spend. It was a no brainer, but adding someone as a registered user to an existing amex account could be the trigger to getting these targeted deals. My wife, who has no Amex cards in her own individual name just cards from my accounts, received the 100,000 point offer with 3,000 spend. I have a gold card I’ve had for probably 30 years and was only offered 25,000 points to upgrade to platinum online. When I. Called, I got nowhere which to me means I probably called the wrong place. Who would you recommend calling, or do you think a secured message makes more sense. I also have a spg card for my business but haven’t received any offers associated with it. I’m not sure how many spend requirements I can take on at one time but wanted some advice I about how best to approach it and what the value of platinum cards Re vis a vis bonuses, I.e. how many points are necessary to justify the $450 annual fee. My direct email is personette@gmail.com if you think you can help. I plan to apply for this card this weekend, and would certainly appreciate the opportunity in submitting the offer code. Does anyone have the offer code for the 100k Targeted offer for the Platinum Business Amex. I understand the 10k spending minimum and the 3 month time frame. If someone can offer up the code that came with the mailed offer, I won’t be able to thank you enough. If it’s at all possible, I am hoping someone may help. The same three businesses that received this offer also just received 50k offers for the Gold Business Card. It seems these are targeted offers at businesses that don’t yet have a product with Amex. Does anyone have a copy (spring 2014) of offer mailed out?